and then you will understand everything." Our liquid perfume titled Chaparral™ now has a solid version. This fragrance is an incense themed natural botanical perfume devoted to the California Native American Indians. The perfume balm adaptation has been created by utilizing pure, plant essences of resin, wood and sage. Cream perfumes have become increasingly popular, in most part due to the ease of transport. The solid version of this fragrance is utilitarian, sophisticated and provides mood a mood enhancing affect due to the aromatherapeutic contents of the ingredients. 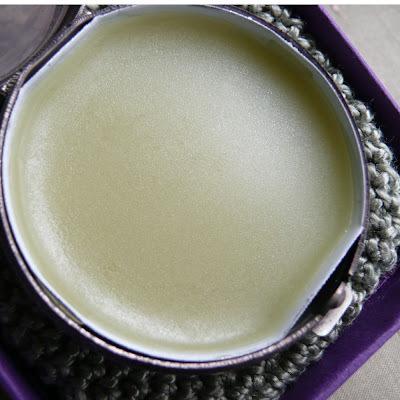 These creamy unguents are in a base of jojoba, beeswax and infused plants materials. I create the solid perfumes all by hand first formulating the synergistic combination of essences. Once the essence combination has melded, with a bit of aging, I melt the beeswax, add the jojoba oil and then slowly stir in the synergy. While this mixture is still liquid I pour it into the little pan that sits within the metal compact. By having the perfume in a separate container it ensures lasting performance so that the vintage gets better and does not adversely react with the metal compact. The hue associated with this fragrance is a pale green, similar to the color of the sages and artemisia's found in the local California mountains. The hand crochet pouch of the liquid features small silver feathers as a tribute to the Native People that once roamed these lands. 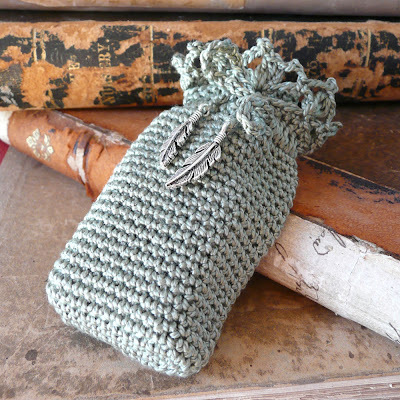 My very skillful mother creates these heirloom pouches for our perfumes. She and I collaborate on the design and seek out the cotton colored thread and charms together. 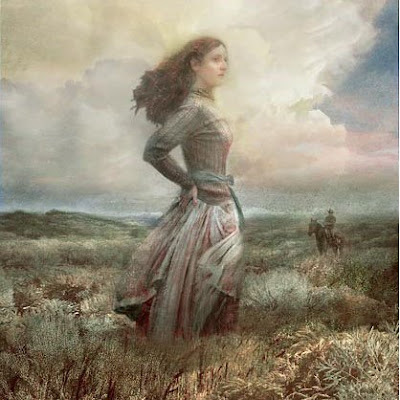 The illustration that accompanies this perfume was originally created for a cover of a young adult book. When I mentioned to Greg that I needed an image for Chaparral™ he significantly enhanced it for the fragrance by adding in local botanicals and the cowboy in the background. The female in the illustration is me. Chaparral™ as a solid can be purchased at Etsy. 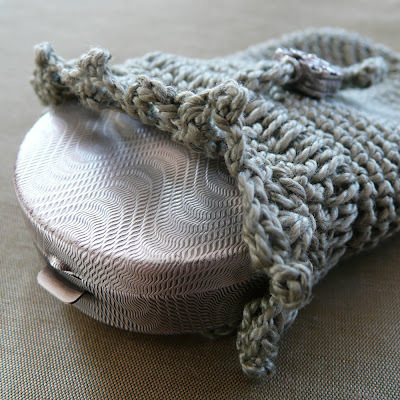 There you will find it as a mini as well as the offering in the antique finish metal compact with its sage colored pouch. All images are ©RoxanaIlluminatedPerfume, the illustration at bottom is ©Greg Spalenka. See more of his work at these links: http://www.spalenka.etsy.com & www.spalenka.com.